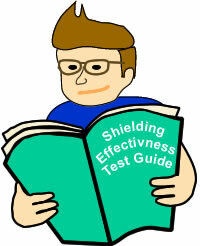 Download a copy of this test guide. Embedded digital processing chips are in virtually everything these days: cell phones, kitchen appliances, manufacturing equipment, magnetic resonance imaging (MRI) systems - even greeting cards. Add Internet of Things, and the scope explodes. With the broad use of digital technology comes an enormous expansion of Wi-Fi, Bluetooth, cellular, and other forms of communication, including higher-frequency transmissions. 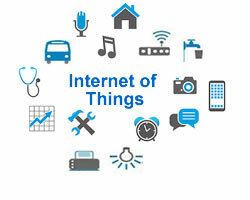 The result is an escalating use of technology that potentially generates unwanted interference, whether in a small, wireless-enabled sensor or a luxury sedan. They all need interference testing for regulatory compliance by organizations, whether they are engineering groups, design firms, appliance manufacturers, telecommunications companies, medical imaging vendors, or others. Interference testing means use of shielded enclosures. 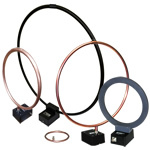 These isolation devices also play important roles in data security and the prevention of interference to critical measurement and processing equipment. Just as interference testing requires RF enclosures, isolation systems in turn need their own testing. This document reviews some of the issues and considerations in testing RF enclosures. Of particular importance is the need to evaluate shielding effectiveness and develop enclosure compliance test plans. Shielded enclosures are Faraday cages, or metal structures connected to a ground. They both prevent RF energy from entering the enclosure and from leaking out. Types of shielded enclosures include MRI rooms, enclosures for test laboratories (HEMP or Tempest applications), screened enclosures or cabinets for the wireless communication industry, and large shielded enclosures for the high voltage industry. The enclosures vary in size from small boxes to large areas that can accommodate an object as large as an aircraft. Small enclosures may have an all-metal construction. Larger enclosures have more complex requirements. They sit above a floor with room between the enclosure top and a building's ceiling. Because of the size of the enclosures, solid metal is too expensive and unwieldy. Instead, they usually employ metal mesh construction. So long as the holes in the mesh are small with respect to the frequency wavelengths , they are effective at blocking signals. Even if some RF energy does penetrate the enclosure walls, it should be so heavily attenuated that any residual amount is negligible. Shielded enclosures play a role in two main areas. The larger is compliance testing. Regulatory agencies in the U.S., EU, and elsewhere enforce restrictions on RF signals through such standards as IEEE-299 or EN 50147-1. Without mandatory limits, all manners of devices could emit any amount of electromagnetic radiation and interfere with the proper operation of medical equipment, communications systems, and more. Regulatory compliance mandates measurement of device-emitted signals and comparison against the relevant standard. However, the test process faces a challenge. Most environments are saturated with RF energy from broadcast radio, television, cellular, Wi-Fi, satellite transmissions, solar activity, and many other sources. Shielded enclosures isolate the test process from outside signal interference and enable engineers to more accurately measure device signal levels and attenuation for comparison to regulations. The other general area that requires shielded enclosures is electromagnetic isolation from outside influences. The reason could be security and the prevention of information loss or the isolation of an electronic process from possible accidental interference. 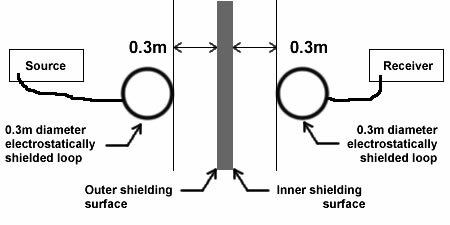 The isolation effects of shielded enclosures are only as good as their ability to prevent RF fields from extending inward or outward beyond their walled boundaries. Engineers, designers, and scientists cannot take that for granted. No enclosure is perfect. The traditional mathematical models used for mesh Faraday cages were flawed, according to 2014 research out of Oxford, and overstated the degree of RF field cancellation inside the cages. 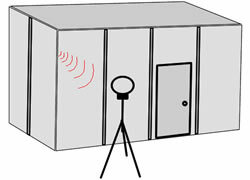 Unavoidable aspects of enclosure construction can become a source of RF field breaches. Doors into the enclosure have hinges and space around their edges to open and close, creating weak points in shielding. Copper coverings for the edges and hinges provide additional shielding. Over time, particularly in manufacturing facilities that may undergo significant amounts of vibration, coverings may come loose. Shielded enclosures frequently incorporate surface irregularities, such as pipes or conduits passing through or fire alarms. Cable interconnects, which allow cables inside the cage to connect to cables outside, may undergo modification for additional connectors that damage the shielding integrity. Ventilation is another example and one that is usually problematic with regards to shielding effectiveness. There could also be changes in compliance standards. Even without changes in compliance standards, they do require periodic testing of enclosures - typically every year or two, depending on the standard - to demonstrate they provide the necessary degree of shielding effectiveness. Ideally that is enough to produce 100 dB of attenuation across an enclosure wall. Between 60 dB and 80 dB might be acceptable for some manufacturers, industries, or applications. There can be other reasons to test the effectiveness of a shielded enclosure. Modifications to the enclosure or its environment might suggest the need for a test. An addition to a cable interconnect or a seismic event are two examples in which retesting the shielding effectiveness could be prudent. Product redesign on the electrical front, like raising frequency of wireless operation, would need verification that shielding continues to work adequately for the new design. At the heart of enclosure testing is a test plan. The specifics vary with the emissions standard in use. In general, they involve development of a test process that uses basic test procedures to verify shielding effectiveness at various points in the test enclosure. The basic procedure is the person performing the test sets up two antennas, each on one side of a surface of the enclosure. Typically, each antenna sits 30 centimeters from the surface edge of the enclosure and is aligned tip-to-tip, tip-to-edge, or edge-to-edge so the greatest transmission or reception strength points to the opposite antenna. One antenna is connected to a transmitter and the other to a receiver. A signal generator connected to the transmitter results in a known signal. Measurement of the signal strength at the receiver allows test personnel to calculate attenuation. Before measuring signal attenuation, personnel first must calculate dynamic range to ensure accurate measurements. The personnel set up the transmitting and receiving antennas and associated equipment at 60 centimeters from each other but with nothing between them. Then they measure the resulting maximum signal. A separate measurement with just the receiver in operation results in the minimum signal, which is the floor level noise of the antenna and receiver with an additional safety margin, typically 6 dB, added to provide margin for error. The addition of another factor, again typically 6 dB, would be necessary with the use of a power amplifier and its additional signal noise. The dynamic range is the difference between the maximum and minimum signals. The amount of dynamic range must be greater than the amount of desired signal attenuation from enclosure shielding. Otherwise, what seems inadequate attenuation might be nothing more than a masking effect from system noise. The plan lists the specific points of the enclosure that need testing - usually walls, floor, ceiling, corners, doors, protuberances, and cable bulkheads - with the specific frequencies and associated dynamic ranges personnel will test at each point. In addition to a list of test points, frequencies, and dynamic ranges, a good test plan covers other important considerations. Antenna designs differ by the frequencies they best respond to. The wider the range of frequencies for testing, the wider the selection of antennas that will be necessary. The regulatory standard generally specifies which antennas to use. In some cases, there may be choices. For example, in the 300 MHz to 1 GHz range, a standard might suggest dipoles. Instead, a log periodic antenna may be a more effective choice because the additional gain expands dynamic range. Any substitution would need documentation in the test plan and recalculation of dynamic range. The plan should indicate what equipment - other than antennas, receivers, and transfers - is necessary. That would include amps and preamps when the test setup has insufficient dynamic range. Specification of cable lengths is important. Too long a cable adds attenuation and reduces the dynamic range. But cables must be long enough to reach the top and bottom of the enclosure. Tripods for antennas must be non-reflective. Other equipment will likely include a rolling cart to move about the room, extension cords, and an assortment of regular tools. Any enclosure test can fail because of mistakes in plan or implementation. There are three typical ones. Undertaking testing without sufficient dynamic range happens frequently. The result is measurements that cannot be trusted. The solution is care in determination of dynamic range and then addition of amplification or different antenna designs to increase gain. A misalignment of antennas will result in weaker signal strength, creating the illusion of greater attenuation by the enclosure. Keeping people away from the antennas and tripods minimizes the chance that someone will accidentally touch one of the units and shift the alignment. An additional good principle to entertain is a variation on the old carpenter's adage, measure twice and cut once. In this case, it is measure thrice: double-check the distance measurements before measuring the attenuation. Ensure all frequencies are appropriately matched. Maintenance of an RF enclosure requires periodic testing to ensure its effectiveness. The creation of a solid test plan and attention to details will enable effective and accurate RF testing of equipment.